I consider Johnson the best lefty that I personally saw pitch. My baseball viewing began in 1967, so I just missed both Sandy Koufax and Warren Spahn. The only lefty since 67 that was in Johnson’s class, was Steve Carlton. 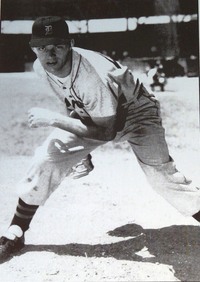 Johnson was a more dominating pitcher. Enjoy your retirement Randy. Randy Johnson is retiring after 22 major league seasons. The Big Unit, an overpowering lefty who last June became the 24th pitcher to win 300 games, made the expected announcement Tuesday on a conference call. A five-time Cy Young Award winner, the 46-year-old Johnson accomplished just about everything in his remarkable career that a player hopes for in baseball. The 6-foot-10 Johnson finishes with a career record of 303-166 and 4,875 strikeouts in 4,135 1/3 innings for Montreal, Seattle, Houston, Arizona, the New York Yankees and San Francisco. His strikeouts are the most by a left-hander and second to Nolan Ryan’s 5,714. Johnson overcame several injuries to keep pitching at a high level into his mid-40s. He said before last season ended that he looked forward to going home to Arizona and spending time with his family before making a decision about his future. “It’s taken this long into January because I definitely wanted to just kind of relax from the season being over and make sure I had a clear head when I made this decision, and that I would be making it wholeheartedly and would be sticking to it,” he said. Johnson went 8-6 with a 4.88 ERA in 17 starts and five relief appearances for San Francisco last season despite missing more than two months with a strained left shoulder that also had a tear in the rotator cuff. He returned in late September as a reliever, a role he couldn’t see himself embracing in order to keep pitching. San Francisco Giants star pitcher Tim Lincecum is facing misdemeanor marijuana charges following a traffic stop in his home state. Washington State Patrol spokesman Steve Schatzel said Thursday that the 2008 Cy Young Award winner and former star at the University of Washington was pulled over for speeding on Interstate 5 in the town of Hazel Dell, about four miles north of the Oregon border, on Oct. 30. An officer approached Lincecum’s 2006 Mercedes and smelled marijuana as the pitcher rolled down his window. Schatzel said Lincecum immediately complied with a request to hand over the drug and a marijuana pipe from the car’s center console. The amount measured was 3.3 grams. Schatzel said police consider that a small amount for personal use, well below the maximum of 40 grams before possession is classified differently and carries a more severe penalty. I think marijuana should be legalized. Way too much taxpayer money and law enforcement time is spent trying to combat this relatively harmless substance. Legal drugs or substances, cigarettes and alcohol, would continue to do more to society than marijuana if all three could be legally obtained. He was an All American for the U of Georgia and pitched a minor league no-hitter. Powell left behind a wife and three children. RIP. A sheriff’s official in Georgia says former major league pitcher Brian Powell has died from a self-inflicted gunshot wound. He was 35. Capt. Liz Crowley of the Decatur County Sheriff’s Office says Powell died Monday at a hospital in Tallahassee, Fla. Powell was from Bainbridge, Ga.
Powell was 7-18 with a 5.94 ERA in 59 games for Detroit, Houston, San Francisco and Philadelphia. He last pitched in the majors with the Phillies in 2004, and spent 2005 in Triple-A for Washington. Arizona third baseman Mark Reynolds broke his major league strikeout record by fanning for the 205th time this season in the fourth inning of the Diamondbacks’ game against San Francisco. Reynolds struck out for the second time Tuesday night to break the record he established last season. After doubling in a run for his career-high 100th RBI in the first, he struck out against Matt Cain in the third and rookie left-hander Madison Bumgarner in the fourth. Reynolds added another strikeout in the sixth to up his total to 206. Reynolds is the only player in major league history to strike out at least 200 times in a season. Striking out excessively isn’t necessarily a liability. It prevents a player from hitting into a double play, and many right handed sluggers are slow to say the least. Just like with all baseball statistics, you have to look at the big picture to properly evaluate a player’s worth. Reynolds is hitting .266 with 43 homers, second to St. Louis’ Albert Pujols, who has 47. He also has a .359 On Base Percentage this year. Reynolds is a significant offensive force, in spite of his high strikeout rate. He isn’t exactly Rob Deer. Colorado Rockies left-hander Alan Embree is out for the season after a line drive fractured his right tibia on Friday night. Embree will have surgery Saturday. “There will be some type of compression screw put in there,” Rockies manager Jim Tracy said. Atlanta’s Martin Prado hit a 3-2 fastball from Embree back up the middle in the seventh inning Friday night. The ball ricocheted off Embree’s right shin to third baseman Ian Stewart. Embree, who signed as a free agent with the Rockies this past offseason, was 2-2 with a 5.84 ERA in 36 appearances. Embree is 37-43 lifetime in a career that started in 1992. Other than 4 games he started in 92 for the Cleveland Indians, he’s been exclusively a left handed relief specialist for 10 MLB teams. I have always liked Embree, he was a key part of a winning Star tournament team of mine, but his career looked to be in decline before this injury. If he reestablishes himself as a quality pitcher in 2010, I’ll be greatly surprised. On a night when Jonathan Sanchez was nearly perfect, his father chose the perfect time to show up in San Francisco and cheer him. 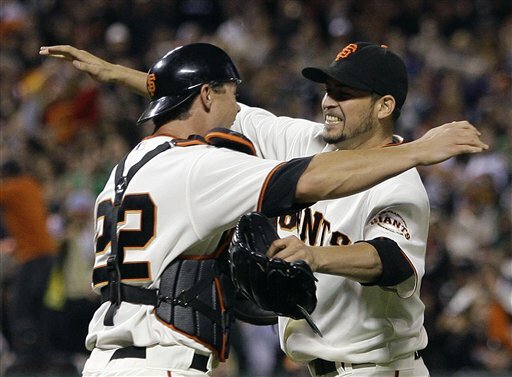 The Giants left-hander threw the majors’ first no-hitter of the season Friday night and came within a whisper of a perfect game. The only runner to reach against him in an 8-0 victory over the San Diego Padres came on an error by third baseman Juan Uribe with one out in the eighth. Sanchez almost lost his no-hit bid in the ninth, but Gold Glove center fielder Aaron Rowand saved the gem with a leaping grab at the center-field fence to rob pinch-hitter Edgar Gonzalez for the second out. “I was going to go up and over and land on the other side of the fence if I had to, to try to make the catch,” Rowand said. The 26-year-old Sanchez (3-8) returned to the rotation after a nearly three-week demotion to the bullpen — and only got the call because 303-game winner Randy Johnson went on the disabled list this week with a shoulder injury. The last Giant to throw a no-hitter was John ‘The Count’ Montefusco in 1976. Does anyone know, without checking the internet, which Giant pitcher threw one immediately before Montefusco? I know the answer because the Giant in question did it against my favorite team, The New York Mets. Sanchez was brilliant last night, 11 strikeouts and no walks. However, he will more than likely go down as one of the less notable pitchers to throw a no-hitter. Sanchez is 16-24 so far in his MLB career. The answer to my trivia question is below the fold. Ed Halicki no hit the NY Mets in the second game of a doubleheader on August 24th 1975. Randy Johnson had to wait a while for his shot at 300 wins. The crowd was small, and the weather was wet. His performance, however, was more than worthy of the occasion. The Big Unit hit the big number on Thursday, becoming the 24th pitcher to reach one of baseball’s most revered milestones. Johnson tossed two-hit ball over six innings, leading the San Francisco Giants to a 5-1 victory over the Washington Nationals in the first game of a doubleheader. Johnson allowed only an unearned run and threw 50 of his 78 pitches for strikes. He faced four batters above the minimum and got spotless relief from his bullpen. He left leading 2-1 and nearly wound up with a no-decision. The Nationals loaded the bases with two outs in the eighth, but Adam Dunn was called out on strikes with a full count on a knee-high fastball from reliever Brian Wilson. Some of the few thousand fans who witnessed Johnson’s victory — the Nationals have trouble drawing a crowd for anything these days — chanted “Randy! Randy!” in the bottom of the ninth. When the game was over, he gave hugs to teenage son Tanner, who served as a Giants batboy, as well as all of his teammates. Johnson then tipped his hat to the cheering crowd before entering the dugout. Johnson is one of six lefthanders to notch 300 wins. Another member of that exclusive company, Tom Glavine, was just released yesterday. For pure dominance, Johnson is the greatest lefty of all time. For consistency, Warren Spahn gets the nod. Without a 300th win, there was little doubt Johnson would make the Hall of Fame eventually. He is arguably the best pitcher of his era, and that should have been good enough in baseball writer’s eyes. The Arizona Diamondbacks fired Bob Melvin on Thursday, hoping a new manager will be able to get the most out of their talented core of young players. The Diamondbacks will make A.J. Hinch, their vice president for player development, Melvin’s replacement on Friday, according to a person familiar with the move who requested anonymity because the announcement had not been made. The 34-year-old Hinch is a former major league catcher with no professional managerial experience. His promotion was first reported by radio station KTAR. Kirby Lee/Image of Sport/US PresswireBob Melvin has been fired by the Diamondbacks. The 47-year-old Melvin’s firing comes after a disappointing start by the Diamondbacks, who entered Thursday 8Â½ games behind the Los Angeles Dodgers in the NL West. Melvin, who went 337-340 in four-plus seasons, had one year left on a contract he received after being the 2007 NL Manager of the Year. “This is a difficult decision, but I feel that our organization needs to move forward with a new voice,” general manager Josh Byrnes said in a statement. 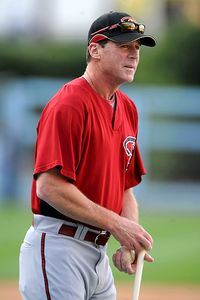 Hitting coach Rick Schu also was fired, and pitching coach Bryan Price resigned. Melvin’s stock rose when he guided a youthful but talented group to the NL West title two years ago. He was dismissed because many of the same players have failed to live up to expectations based on that season, when the Diamondbacks posted an NL-best 90-72 record despite being outscored by 20 runs across the season. This is the second time in their 12-year history that the Diamondbacks have changed managers in midseason. In 2004, the Diamondbacks fired Bob Brenly after a 29-50 start and replaced him with Al Pedrique on their way to a franchise-worst 51-111 record. That disaster paved the way to Melvin’s return to Arizona, where he had served as Brenly’s bench coach on the 2001 World Series champions. Melvin’s hiring as the Diamondbacks’ manager came under bizarre circumstances. The club had selected Wally Backman as manager, but Backman was dismissed four days later following revelations he had been arrested twice and struggled with financial problems. Arizona then turned to Melvin, who was out after two seasons in Seattle, where he went 156-168. Melvin made an immediate impact in the desert. He led the 2005 Diamondbacks to a 77-85 record, a 26-win improvement. Two years later, the Diamondbacks made a surprise run to the NL West title despite scoring 20 fewer runs than they allowed — a fact that led many to praise Melvin’s ability to squeeze the most out of his lineup. Melvin was honored as the 2007 NL Manager of the Year, and soon after the club extended his contract through 2010. How much of Arizona’s slow start if Melvin and his coaching staff’s fault is debatable. The team hasn’t been hitting, but on the other hand the Dodgers started great this year and Diamondback staff ace Brandon Webb is on the disabled list. To me the blame for the 12-17(I had to look it up. Associated Press didn’t report it in the above article) start Arizona had this year is more complicated than whether the team had or hadn’t good direction from their manager and coaches. As usual in sports the manager or head coach is the fall guy deservingly or not. Melvin, who was a journeyman catcher and coach before becoming a big league manager, won’t be unemployed for long. Do note that Arizona hasn’t named Melvin’s replacement yet. Will they name for his coaching staff to the job or look elsewhere? I am betting the former.